At Leonard’s, we use real leathers, cut from real hides. For more information, please see our “Why Leathers” page. ***Need some pricing information? Click here. ***When you’re ready to move on to the ordering phase, click here. Click on the different tabs below to see examples of the different kinds of grains on our leathers, and all the colors of our various leathers, along with some samples. These are our amazingly thick cowhides, great for larger Bibles. 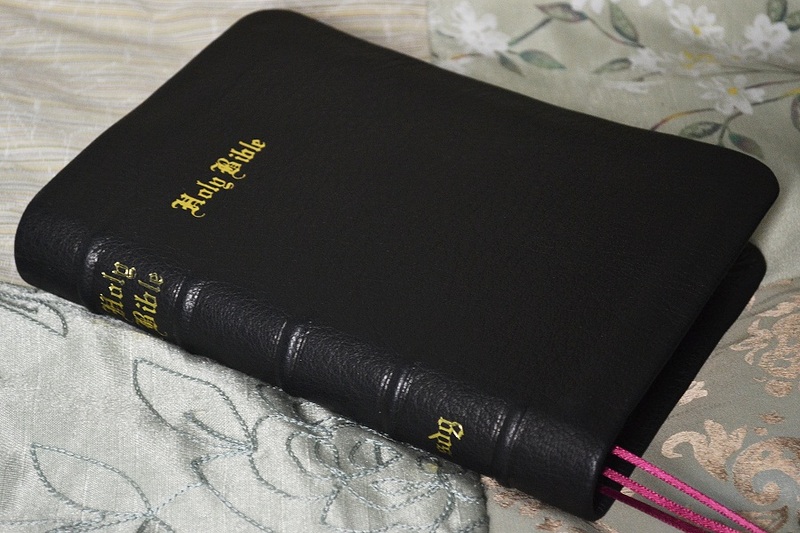 They feel soft and flexible, but we can also add some extra reinforcement inside so they are not too floppy on a larger, heavy Bible. These silky smooth calfskins feel soft and flexible in your hand. They should help your Bible last for a good long time! 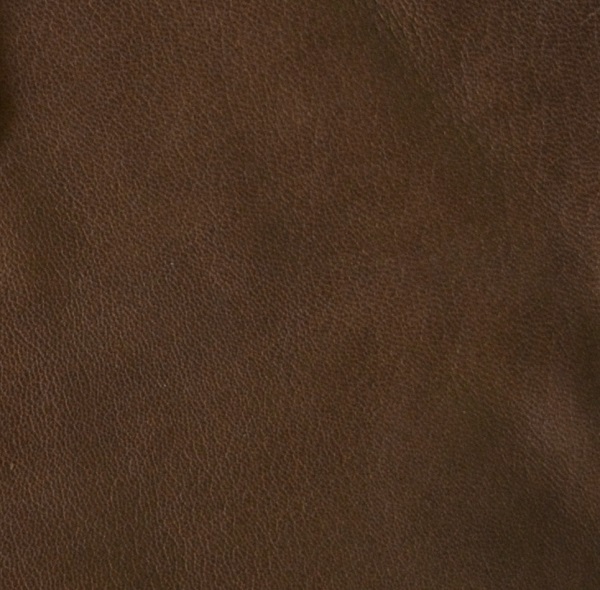 This leather has a smooth feel and an antiqued mottled look. This is also a tooling leather, and we use it often for hardcover antique books as well as for softcover personal Bibles. It is durable and “breaks in well” so it feels great in your hand. These are all soft, flexible, and durable, the leather with the softest feel. Same type of goatskin, soft and flexible, but in bright colors. 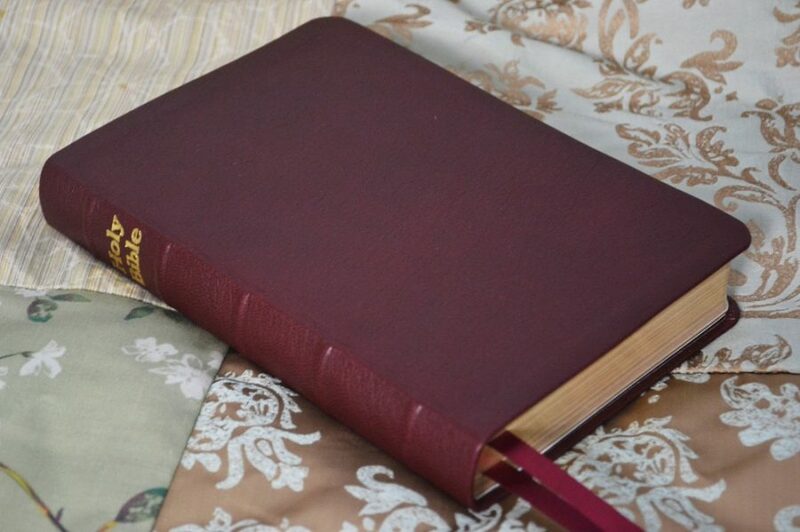 This is a sturdy natural goatskin, spindled (pre-wrinkled) to add flexibility, and dyed and antiqued by our binders. It’s a tooling leather, as are all the leathers on this page, so tooled designs and blind-stamping can be done, as well as regular stamping with a color. Note: No two covers are exactly alike. 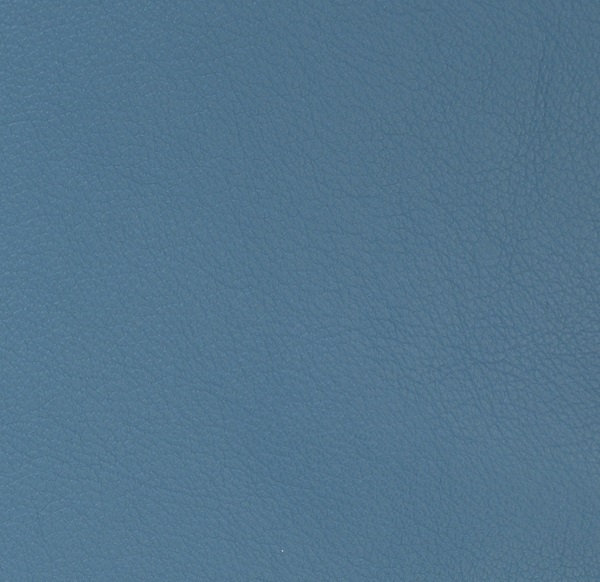 Here’s another natural goatskin that may interest you: Scapegoat. It’s only available in burgundy, but the leather has a prominent natural wild grain. The shade varies from skin to skin. This is traditional, archival, vegetable-tanned bookbinding leather from the famous Sokoto region of Nigeria — a fine leather that has stood the test of time. 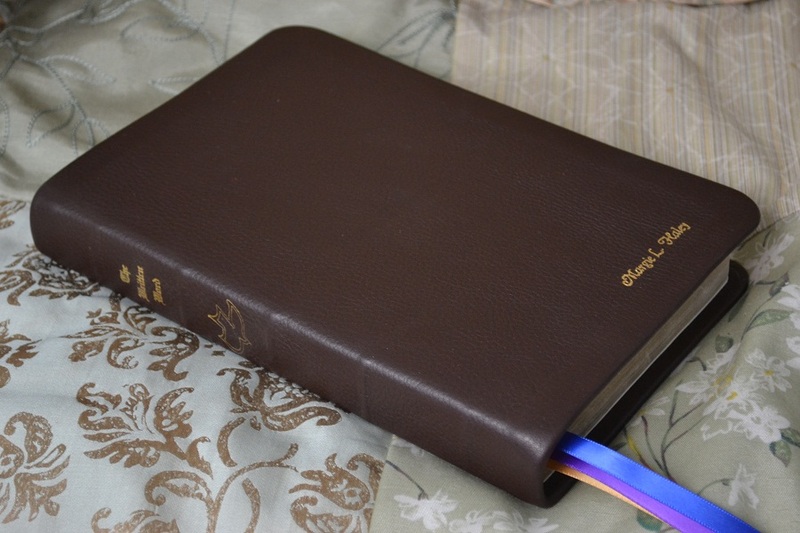 A book or Bible rebound in this leather can be passed down to future generations and may last, if well cared-for, for hundreds of years. It has a beautiful wild grain and feels great in your hand. 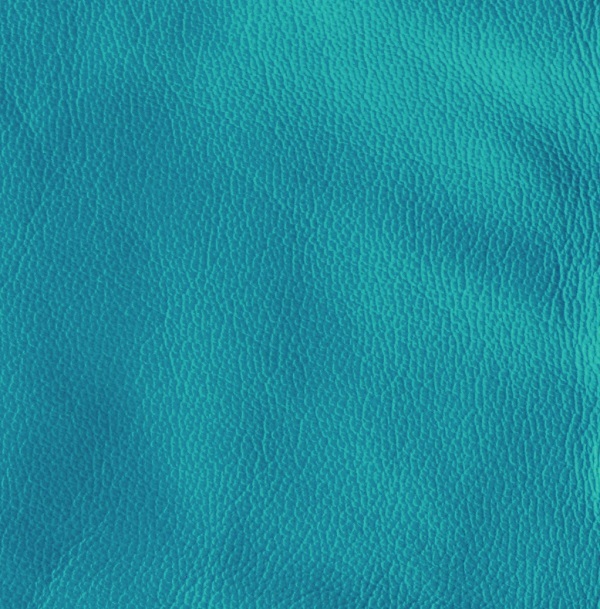 Here are some fast examples of the kinds of grains / textures you’ll find on our leathers. Some are specialty styles.